“Our consumers are expecting experiences that really merge prestige beauty and technology,” said Michael Smith, chief information officer of the New York-based firm. Technology is a key component of the company’s growth strategy, he said. An IT group consolidation last fall made it easier for teams to collaborate on technology-focused consumer experiences. Previously spread across eight locations in the New York area, the IT team now occupies two offices: one in Melville and another in Long Island City, Queens. The Queens location also features a dedicated office space for the company’s first IT-focused innovation lab. Large beauty industry companies such as Estée Lauder have always invested heavily in innovation. Now, IT groups are getting more involved. For example, IT teams can help companies leverage data to help spot trends early and respond to consumer needs with new tools, analysts say. 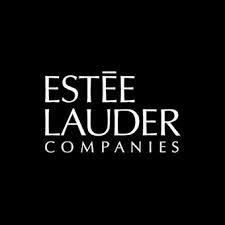 Estée Lauder, whose brands include Aerin, Clinique and Jo Malone London, reported quarterly net sales of $4.01 billion for the period ending Dec. 31, a 7% increase over the prior-year quarter, driven by demand for high-end beauty products in Asia. Estée Lauder’s Queens outpost hosts design-thinking sessions at the innovation lab, in which data scientists, user experience designers and engineers collaborate with employees in customer engagement, retail and marketing. Some of the sessions focus on how technology can create unique experiences that will make customers linger in the store or experiment with a product in a new way, said Kimberly Saxton, vice president of global IT operations and strategy. The IT leadership team is testing a few cutting-edge ideas related to customer experience that came out of a hackathon, held last November at the Queens office. About 240 people participated in the event, including international Estée Lauder teams, college students and technical professionals from other companies. In one idea, users scan their face with a mobile device and receive product recommendations based on an analysis of their skin, factoring in wrinkles and blemishes. In another, users can upload photographs of a makeup look they want to replicate and an app will recommend lipsticks, eye shadows and other products that match the photograph. Another idea being discussed at the innovation lab is how 3-D printing could possibly lower a customer’s carbon footprint by manufacturing products in stores, Ms. Saxton said. Revlon Inc., another beauty industry giant, in late 2018 formed an in-house technology council led by Chief Technology Officer Chau Banks. The council, which includes employees in areas such as IT and global customer engagement, is evaluating several technologies propelled by AI and augmented reality, said Debbie Perelman, president and chief executive of Revlon. “IT does play a part in this as we are learning the importance and role technology plays in the customer purchasing decision and journey,” Ms. Perelman said in an email. Ingredient innovation in the beauty industry remains paramount, but technology-enabled consumer experiences are becoming more important to help brands stand out from the competition, said Carrie Mellage, vice president of consumer products for research firm Kline & Co. “IT teams are getting more involved,” she said. Competition in the beauty industry is fierce, with about 100 independent brands luring consumers with factors like celebrity appeal, social-media influence, a cult following, and commitment to sustainability and clean ingredients. “We’ve seen those ‘indies’ or ‘ankle-biters’ really taking a share of the industry,” Ms. Mellage said. Large beauty companies are still successful, but up-and-coming brands are growing much faster in some cases. “In the past, they were maybe not collectively as much of a threat as they are today,” she said. Estée Lauder’s Mr. Smith, whose IT group consists of hundreds of employees, says culture and talent are the driving forces for innovation. The Queens outpost—with game rooms, standing desks, high-tech meeting rooms and a rooftop—was designed with that in mind. The office lists about a dozen IT job openings. “We can and should be the destination for the top tech talent on the planet,” Mr. Smith said.